I took a little pause from the roundup last week (sorry! ), but to make up for it, I've included some great articles, videos and what not from both last week and this. From a personal essay on parenting teenagers to fitness tips and fashion industry info, there are happy hour talking points abounding in the links below. Go forth and make interesting small talk! Parenting is a long-way off in my life, but this story in The New York Times magazine about BEING A PARENT TO TEENAGERS is powerful, frightening and enlightening. CAN GAP BE SAVED? Fast Company interviewed Art Peck, the company's new CEO, about the future of the iconic American mall brand. Charlotte Cowles, a longtime writer at The Cut, shares her story of DIVING INTO DOMESTIC PARTNERSHIP with her longtime, cohabiting boyfriend when he needed health insurance. As someone with a lot of experience working for online publications, I appreciate a truly well-done article. Take, for example, this post from Refinery29 on 3 FITNESS MOVES TO GET YOU IN SHAPE FOR SUMMER. Not only does it provide detailed written directions, but there are handy gifs to show you how it's done, plus the workout looks are shoppable. #NailedIt. I've been a fan of Valet for a while, and this guide to BEING CHIVALROUS IN MODERN TIMES is no exception. Guys, take note! No matter where you live, you most likely heard about the devastating fire in New York's East Village (my neighborhood) that collapsed several buildings and took two lives. In The New Yorker, SARAH LARSON REFLECTS ON THE LOSS OF LIVES AND LOCAL HISTORY. Need someone incredible to follow on Instagram? 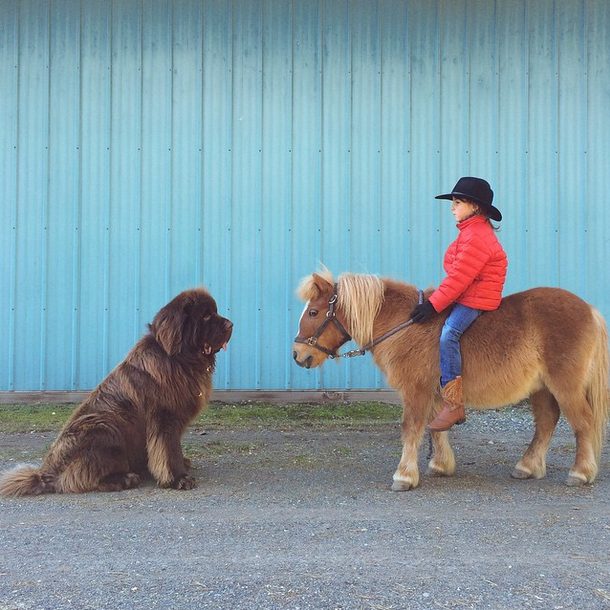 Go ahead and fall in love with the DOGS, HORSES, KIDS, PONIES & PNW MAGIC THAT IS @NORTHWESTMOMMY. You're welcome. Did you read my post yesterday about 10 things a first date should be? Good. Are you going on a first date sometime soon? Even better. HERE'S WHAT TO DRINK ON A FIRST DATE, according to New York magazine's Grub Street.